It’s true–I never once imagined confetti cupcake poptarts. But, now that they’re here, I’m wondering what took Kellogg’s so long. 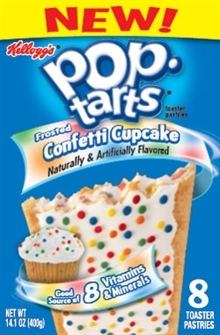 Of course we need cupcake flavored poptarts, don’t we? A sweet vanilla cupcake-flavored center topped with white frosting and confetti sprinkles? Of course! And get them while they’re hot–limited edition only! There’s a very special item on Ruby Tuesday’s new and improved menu–cupcakes! And they’re awesome! Hooray for Ruby Tuesday! Have a statement? Want to be heard? How about cupcakes? 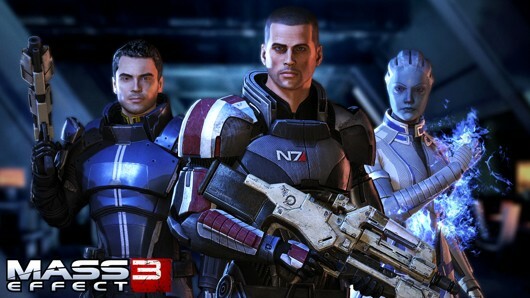 Fans of the new video game Mass Effect 3 are upset with the ending and want it changed. 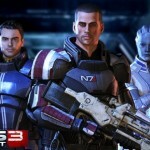 And they’re asking nicely, by sending 400 cupcakes to Bioware, the game’s creators. 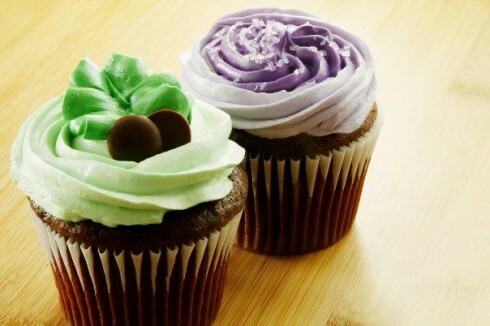 The cupcakes will be frosted three different colors, but will all taste the same, to symbolize the similar endings of the three video games in the series. This effort will cost $1005 and everyone who contributes to the cause will also get to send along a note with the cupcakes. It’s like a sugary sweet petition. Click here for the campaign website. 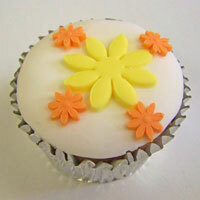 The cupcakes will be delivered by Fuss Cupcakes of Edmonton, Alberta. We know you want to take your cupcakes everywhere, but don’t take them on a plane! 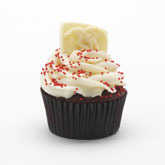 Recently, a Massachusetts woman’s cupcake was confiscated by TSA when she tried to take the cupcake through security. We wrote about it here too. Her cupcake was in a jar, and the security agents said that the frosting was a liquid that exceeded the legal limits of 3 ounces. The TSA wrote on their blog, “Unlike the thin layer of icing that resides on the top of most cupcakes, this cupcake had a thick layer of icing inside a jar.” In other words, this was a good cupcake! Who is out there handing out cupcakes with “thin layers of icing”? That’s just sad! The TSA blog also called this woman’s cupcake “the newfangled modern take on a cupcake.” Wow, that just really makes me want to take a bite of it! Wicked Good Cupcakes, where the woman bought the cupcake, is planning to capitalize on the publicity of this pastry confiscation! 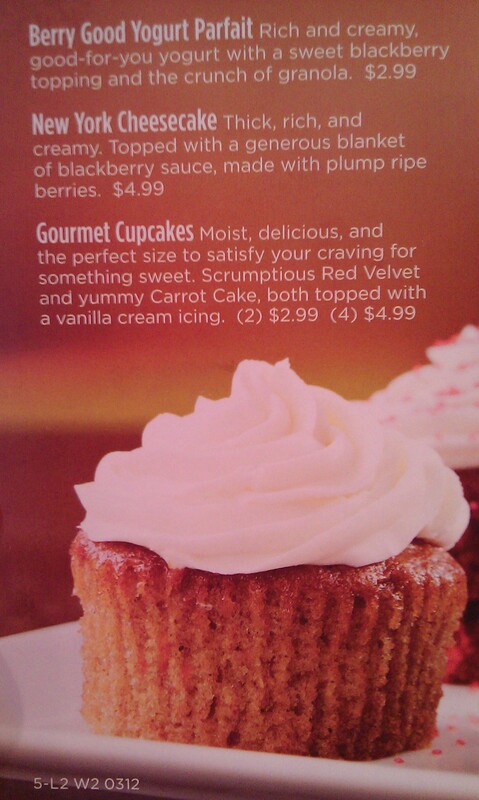 They now offer a cupcake on their menu called “National Security Velvet” (pictured above). Yum! In all seriousness, we don’t mean to make light of the importance of airport security. We know these security officers work hard to keep us all safe, and we are grateful. The moral of the story is definitely to just eat your cupcake before getting on the plane! Travel Advisory: the TSA is now seizing cupakes! Hot off the press! 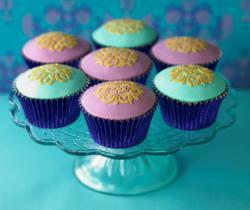 Apparently, gel cupcake frosting qualified as a potential security threat at the Las Vegas Airport, causing the TSA to confiscate a cupcake! The cupcakerie is Wicked Good Cupcakes and just looking at their website has me wanting to fly to their shop to get samples. 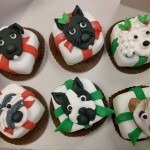 The ‘wicked good’ cupcakes made for the MSPCA are pictured here. If the TSA dogs had discovered these puppies, I might understand what took place. So I’m interested to know what you would do. Here’s a story from England’s Daily Mail – “Cupcake Calamity” – about cupcake bakery owner Rachel Brown of Need-A-Cake, who offered a Groupon and had to bake an “astonishing” 102,000 cupcakes in response. 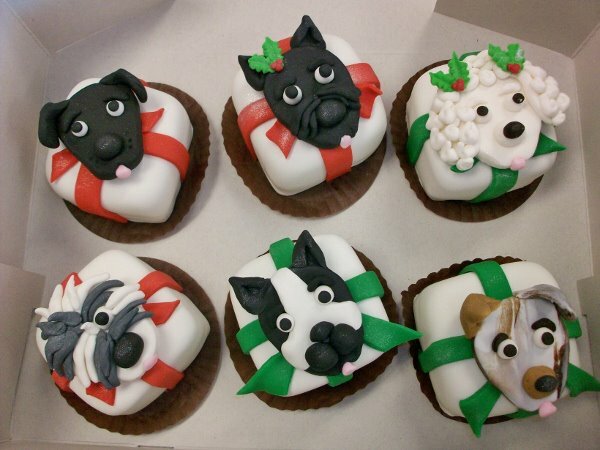 Apparently, Brown offered a dozen cupcakes for £6.50, instead of the usual £26, resulting in 8,500 orders…at which point Brown cut off the orders. What’s your perspective – any sympathies? A baker offering 75% off? Groupon saying their offers are for an unlimited number of orders? The angry customers, complaining that their orders were taking longer than they expected?